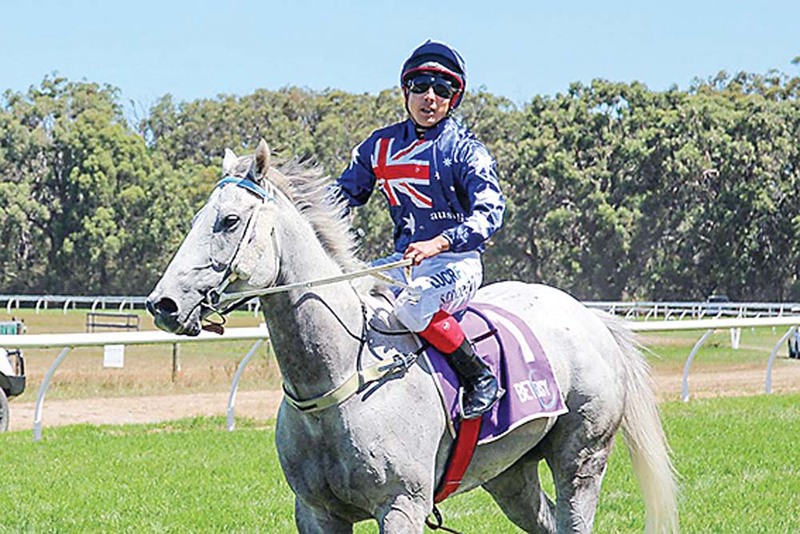 THOUSANDS of spectators flocked to the Emu Plains Reserve, Balnarring on Saturday 26 January for the Balnarring Picnic Racing Club’s traditional Australia Day meeting. A field of seven took to the track for the highlight of the club’s season, the Balnarring Cup, where Cranbourne-based trainer Cindy Alderson took out the main event with her low-flying mare My Clementina. Ridden by Maddison Morris, My Clementina scooped the prize to become the new ‘star of the picnics’, winning five straight picnic races – a maiden, Trophy 1, Trophy 2 and two Open Cups, which included the Healesville Cup at her previous start. Overall, Balnarring Picnic Racing Club president Terry Mulcahy said their major day was a raging success and a brilliant day out for all involved. “It was sensational,” Mulcahy said. “It was an outstanding success. Weather wise it was perfect. It was 24 degrees, sunny all afternoon and you couldn’t ask for better conditions. Other highlights from the day included three odds-on favourites consecutively saluting from race 3 to race five, kicking off with the Colin Little-trained galloper Plum Pudding ($1.65) who won by a commanding six-length margin. The iconic Australia Day silks were also worn to victory during the successful run of favourites, with the Don Dwyer-trained Sheer Force and the Wez Hunter-trained Curra Kid taking out races four and five. Racing is set to return to Balnarring on Sunday 10 March (Labour Day long weekend) for their next picnic meeting.